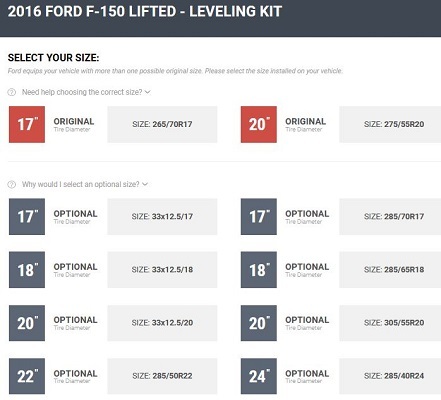 Any suggestions on how big of tires to get for a 2016 F150 XLT? I am going to put 2.5" level on the front... truck currently has 17" tires, but trying to get nice off-road tires that aren't going to kill the ride. I want to throw some black Fuel wheels on it also.